On July 24th, Google made an unannounced update to its local search algorithm, marking the most significant local search update the company has made since 2012. Dubbed “Pigeon” by the industry’s leading SEO resource, Search Engine Land, the changes primarily impact Google’s organic local listings within Maps and their web search results. Unlike recent penalty-based updates, Penguin and Panda, Pigeon is designed to yield more relevant local search results, rather than ding low-grade content. Google has decreased the frequency of local 7-packs showing in SERPs. Businesses have shifted their page rank – some even dropping off the front page completely - so it may be time to reevaluate your client’s rankings for their local keywords. Local site directories, such as Yelp, Urbanspoon, and TripAdvisor have been given more authority in local search queries. Social media profiles and Google’s local carousel results remain unaffected. Google has tightened their distance and location ranking parameters, resulting in improved SERP for the user’s geographic location. In an effort to rectify a previous accusation by major local directory site Yelp, (in which they revealed they were prioritized below Google in local data quality), Google’s Pigeon update has given a significant lift to local directory sites in SERPs. While a local search may still yield Google’s carousel at the top, sites like Yelp, Urbanspoon, OpenTable, and TripAdvisor are showing up more frequently in the top search results. Research has shown a surge in reliance on online customer reviews to determine the legitimacy of customers’ local businesses. In fact, in a survey conducted by BrightLocal, 39% of consumers reported that they regularly read online customer reviews to determine whether a local business is a good business, up from 32% in 2013, and 27% in 2012. 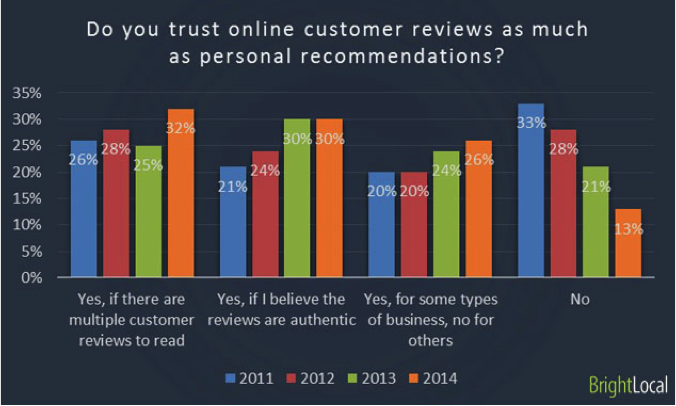 BrightLocal also reports that 88% of consumers trust online reviews as much as a personal recommendation. With an increased reliance on peer reviews, and a lift in local search results for local site directories, the online reputation of your client's business is more important that ever. When asked about the importance of local SEO for businesses, digital marketing thought leader Guillaume Bouchard imparts, "Local - along with personalized search - is a necessary evolution to truly optimize the search experience for users across the globe. It is a mindset that SEO professionals can't 'arrive to' late." 1. “Big brand” doesn’t always mean better search ranking, especially for non-branded search queries. Google and other search engines all factor in location data when returning search results, and users tend to include their location when searching for businesses online. Additionally, consumers are increasingly choosing their local businesses over larger, well-known brands. 2. It is increasingly important for businesses with multiple locations to create unique pages for each business. Creating separate domains for each location allows businesses to leverage on-page elements like H1 tags, local URLS, page titles, and geo-specific content to cultivate interest from their local users. Creating identities for each location on your site, even within a broader “Locations” home page, will give better visibility in to individual markets, increase conversion rates with geo-targeting, and optimize your site for search engines AND your users. Take a few tips from Matt Cutts, Google’s Head of Webspam, to add this to your next website redesign. 3. 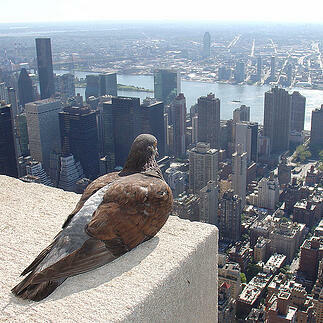 Google+ DOES matter, and optimizing your Google+ Local page(s) is an important step that businesses must not neglect. Google+ Local, Google’s local directory, uses a 5-point scoring system to give detailed insight to users even before they visit your website. Google reviews almost always show up in local search results, and Google+ Local allows businesses to easily create unique listings per phone number. Google+ is all about visibility; the more optimized your listing is, the more likely you are to be found by prospects. Want to learn more about how you can optimize your SEO and brand messaging for success? 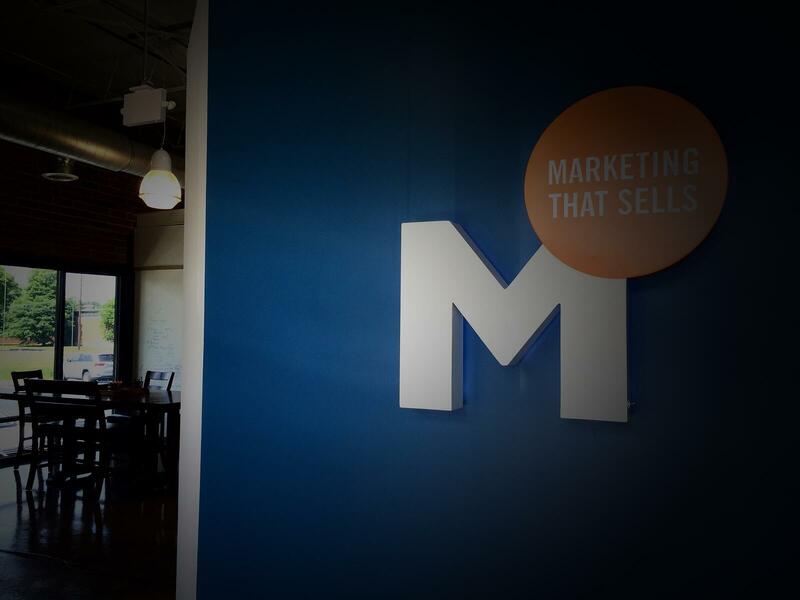 Contact our inbound marketing team for a consultation.